Besides this, it showed concerns to wind up the negative interest rates soon which makes it a quite bullish news for the JPY. We all know that the BOJ is targeting 2% inflation and the Japanese economy is still holding somewhere around 0.5% inflation, far away from their targets. It seems hard for BOJ to hike the interest rate. Which is why bigger fishes might not price in this news. The thing is, this news is making the market noisy. Earlier this morning, I was trying to capture a buying trade in on the violation of triple top pattern at 128.950. But this pair reversed on the news and unfortunately, we missed the trade. 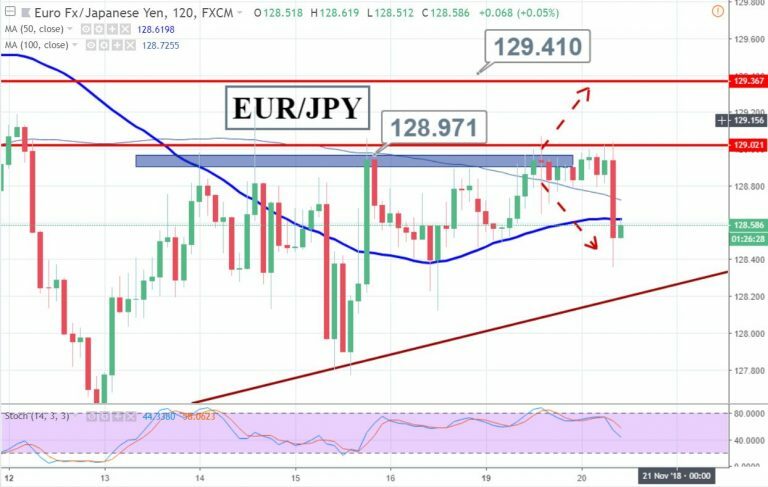 At the moment, the EUR/JPY is likely to face a strong hurdle at 128.780 along with a support at 128.350 and 128.150. Is it worth chasing a sell-off? Yes, it is. As long as the market trades below 128.850, we have an opportunity to go short with a target of 128.150.